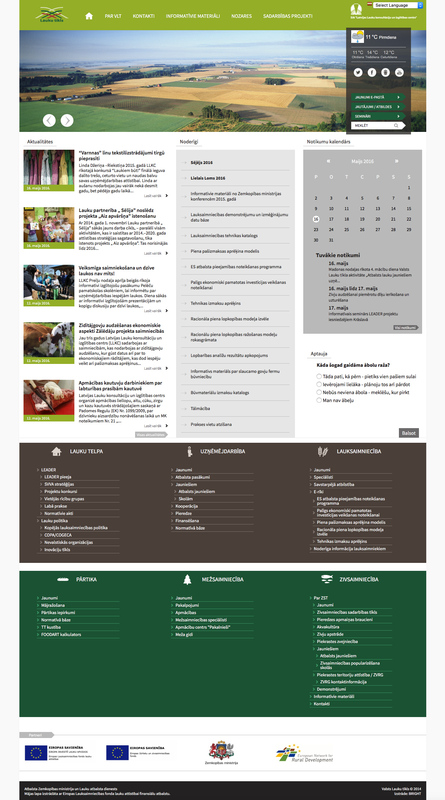 BRIGHT has developed a website for Valsts Lauku Tīkls (State Rural Network). With adaptive web design and innovative programming techniques the enormous amount of information has been efficiently organised and made easily accessible. The website features an interactive contacts option, library of information materials, events calendar and profile sections on distinct topics of interest.